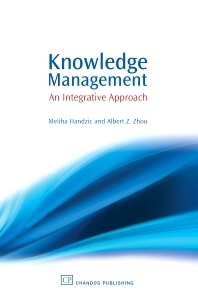 This book focuses on basic knowledge management (KM) concepts and their inter-relationships. Most importantly, the book brings together diverse perspectives currently seen in the field of KM research and practice in a logical sequence incorporating the most relevant and representative examples into an integrated framework. It offers a comprehensive coverage of the KM phenomena, including: KM frameworks, KM drivers, socio-technological enablers and processes, KM outputs and outcomes, as well as issues and challenges for KM present and future. With its integrated and systematic approach to KM phenomena, the book contributes to achieving an objective and complete picture of the field. The book will help students, individuals and organisations to better understand the benefits and limitations of KM. It will also help managers to choose more suitable KM solutions to enhance and exploit their organisational knowledge. Part 1 Introduction to KM: An integrated view of KM; Drivers of KM. Part 2 KM components and relationships: Organisational enablers of KM; The role of technology in KM; Knowledge manipulation processes; Understanding knowledge as an asset. Part 3 Benefits and limitations of KM; Outcomes of KM; Issues and challenges for KM practice and research. Dr Meliha Handzic is Inaugural Leader of the knowledge management research group the University of New South Wales, Australia. Her main teaching and research interests include knowledge management and decision support. She has published widely in books, book chapters, journal and conference articles. Albert Z. Zhou is earning his PhD in Knowledge Management at the University of New South Wales. He has written two books on KM and has had articles published in journals such as Journal of Intellectual Capital, Knowledge Management Research & Practice and Journal of Information and Knowledge Management.